The Cook Islands are a self-governing parliamentary democracy in free association with New Zealand, located in Polynesia, in the middle of the South Pacific Ocean, between French Polynesia (Society Islands) to the east and Tonga to the west. It is an archipelago with 15 islands spread out over 2.2 million km2 of ocean. There's no land between the Cook Islands and Antarctica, though they are quite distant from each other. The Cook Islands do not have any cities but are composed of 15 different islands. The main ones are Rarotonga and Aitutaki. Named after Captain Cook, who sighted them in 1770, the islands became a British protectorate in 1888. By 1900, administrative control was transferred to New Zealand; in 1965 residents chose self-government in free association with New Zealand. New Zealand handles defence, foreign affairs (including passports), and currency; otherwise the islands are self-governing. This includes immigration, which is strictly controlled—even for non-Cook Island New Zealanders. Many Cook Islanders will tell you how there are more Cook Islanders living in New Zealand and Australia than in the Cook Islands. The population of the Cook Islands is less than 15,000 but there are over 50,000 Cook Islanders living in New Zealand, and over 30,000 in Australia. Those remaining have often spent time in Auckland, Melbourne or Sydney before returning home. Tropical, moderated by trade winds. Rarotonga has average maximum temperatures of around 25C in winter (May–October) and 29C in summer (November–April), temperatures in the northern islands are several degrees higher. Rainfall mostly occurs in summer, usually in the form of afternoon storms. Cyclone season is November to March, although the islands are hit by a big one only once every five years or so. The Northern Cook Islands are seven low-lying, sparsely populated, coral atolls. The Southern Cook Islands consist of eight elevated, fertile, volcanic isles where most of the populace lives. 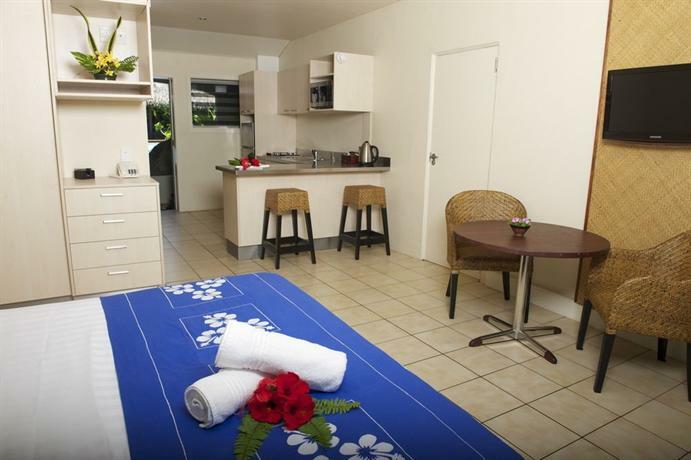 Tourism facilities are well developed on Rarotonga and Aitutaki, and information is available. However you won't see a single tout, and tourist scams are unheard of. If you want to organise something, it usually isn't hard to do, but you will need to make the first move. When you book a flight to the Cook Islands you must also book your onwards ticket. The Cook Islands issue entry permits, not visas. On arrival a bona fide visitor is granted a 31-day entry permit that may be extended up to a maximum of 6 months by application to the Cook Islands Ministry of Foreign Affairs and Immigration. You are not permitted to work if you are in the Cook Islands as a visitor. It is best to have accommodation pre-arranged as there are no public camping areas in the Cook Islands and camping is actively discouraged. Most accommodators will arrange transfers from the airport. Rarotonga International Airport (RAR IATA) is the main gateway. There are daily services to Auckland (3.5 hours) and weekly services to Sydney and Los Angeles. The only international airlines at present are Air New Zealand and Virgin Australia. Air New Zealand has code share arrangements with other Star Alliance members including United Airlines and Rarotonga is a popular stopover on round the world flights. 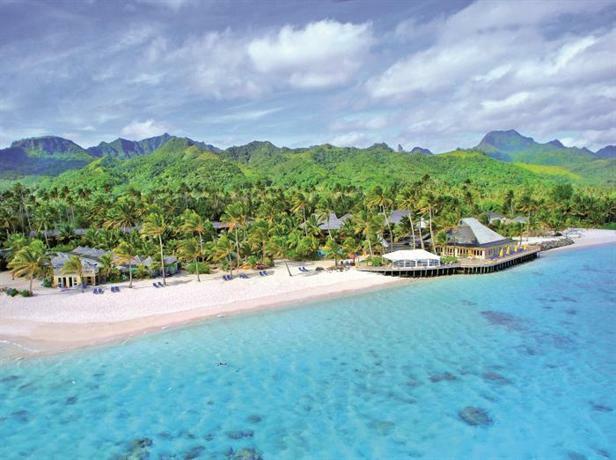 See the Rarotonga article for airport details. 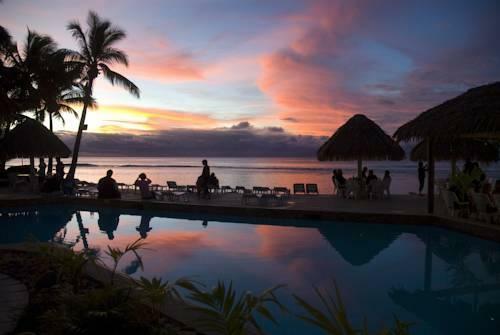 Rarotonga and Aitutaki are regular stops for cruises operating from Tahiti. Other cruise companies stop by occasionally. If you're planning to sail to the islands you must enter through one of the five designated ports of entry. These are Rarotonga, Aitutaki and Atiu in the Southern group, and Penrhyn and Pukapuka in the Northern group. Domestic inter-island service is provided by Air Rarotonga. Although you can book flights through Air New Zealand, it is usually cheaper to do so directly with Air Rarotonga. This has become much easier in the past few years, now that they offer online booking. Unless you're a member of Air New Zealand's "Airpoints Dollars" program, you won't receive any airline miles for Air Rarotonga—and then only if you book through Air New Zealand, often at a higher price. Star Alliance mileage for Air Rarotonga is not available. Most of the outer islands have only unpaved runways. However, landing won't be much rougher than that of a paved runway. If you've never landed on an unpaved runway before, it's nothing to be overly concerned about, and you've probably had a few rougher landings on a paved runway. The intrepid traveler can visit all inhabited islands by inter island freighters, but these can be weeks apart or worse if you want to get the really remote islands. Details of services are published in local island newspapers. There are no generally scheduled boat or ferry services between the inhabited islands. There are two uninhabited islands - Takutea and Manuae. The only easy way for a visitor to get to Takutea is on the research vessel Bounty Bay operated by Rarotonga-based Pacific Expeditions, which has special permission to run occasional eco tours. There are five living languages in the Cook Islands with English and Cook Islands Maori the official languages. Cook Islands Maori is often called Rarotongan after the capital island and is the most widely spoken version of Maori in the Islands. Others are Penrhynese, unique to the Northern group island of Penrhyn and rapidly disappearing, and Rakahanga-Manihiki, spoken by about 2,500 Cook Islanders, only half of whom on the two islands from which it takes its name. On the remote Northern group island of Pukapuka, the islanders have a unique language of their own called Pukapukan of which there is no written version. It is more like Samoan, and some of it cannot even be understood by other Cook Islanders. But even there, English is spoken, albeit not widely. Children, though, are taught it in school. At the very least, the visitor will quickly learn the usual greeting, "kia orana" which means "may you live long". One of the cultural shows/dancing at one of the larger resorts. Cook Island Christian Church, Rarotonga The CICC is a fine old white-coral building, much in the same mould as other CICCs in the Cooks. It was built in 1853, when Aaron Buzacott was the resident missionary. Travellers are welcome to attend services but are expected to dress respectfully. Anatakitaki, Aitu The most famous of the many caves on Atiu, which is riddled with limestone caverns complete with stalactites and stalagmites, is Anatakitaki, also known as the 'Kopeka Cave'. A hauntingly large and beautiful cave, it is the home of the kopeka, a rare bird, similar to a swift, which lives only on Atiu. Beachcomber Gallery, Rarotonga One of the best arts and crafts galleries on the island, the Beachcomber Gallery has a great selection of jewellery, carvings, pearls, craftwork and paintings locally sourced in the islands. You can sometimes visit the workshop behind the main building to see how the black-pearl jewellery and shell carvings are made. Sir Geoffrey Henry National Culture Centre, Rarotonga Conceived by former prime minister Sir Geoffrey Henry, the National Culture Centre comprises six cultural divisions: the National Auditorium, the National Museum, the National Library, the National Archives, Performing Arts, and the Anthropology Unit. A number of government ministries are also based here. Scuba Diving & Snorkeling, Rarotonga The Cook Islands is a beautiful place to explore both on land and in water. Scuba diving & snorkeling is available inside the calm protected waters of the lagoon as well as outside the reef in the open ocean. There are dive sites all around the island of Rarotonga which host an incredible amount of tropical reef fish as well as larger animals such as turtles, eagle rays, eels and reef sharks such as White Tips, Grey Reefs and Hammerheads, in addition to the beautiful hard coral formations, sand passages, swim-throughs and drop offs. Pacific Divers is a PADI 5* Dive Center located in Muri Beach on the South-East side of Rarotonga and offers snorkel trips & scuba diving 7 days a week for all levels of diving, from beginners to advanced divers and professionals. Various options are available, from half day excursions to 3 day courses to become a fully certified diver. They also offer a professional internship where they train divers up to the professional Dive Master level over the course of a few months. Muri Beach, Rarotonga Muri Beach, on Muri's lagoon on the southeast side of the island, is particularly beautiful. The shallow water has a sandy bottom dotted with countless sea cucumbers and some coral formations. Cooks Larger Brewery, Rarotonga See the brewing process first hand and enjoy a sample testing of Cook Island brews. As one of only two breweries on the island, the brewery tours are a truly unique tourist attraction. Captain Tama's Lagoon Cruizes, Rarotonga Join the crew of the famous Captain Tama's Lagoon Cruizes on glass bottom boats for a memorable fun day you will never forget. Aitutaki Lagoon, Aitutaki Aitutaki's marvelous lagoon, dotted with sand bars, coral ridges and 21 uninhabited motu (lagoon islets), is colourful and full of life. 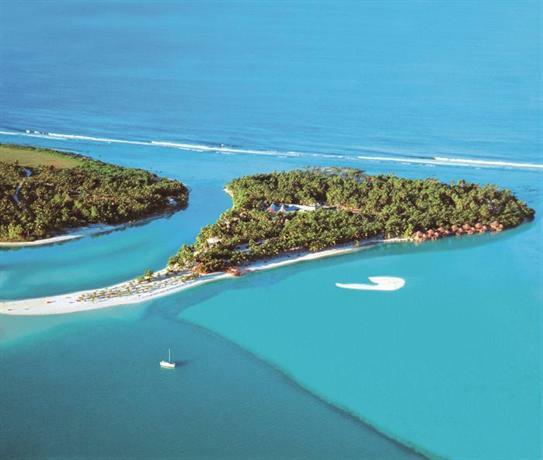 Maina Motu offers great snorkelling on the coral formations near its shore and around large powder-white sand bars. 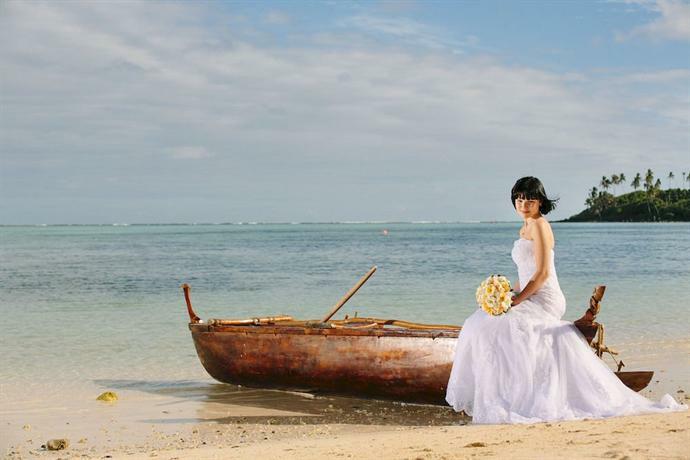 Teking Lagoon Cruises, Aitutaki Teking Lagoon Cruises are small and intimate, ensuring a more personal experience. Local guides share their knowledge of the islands, their history and the culture that is Aitutaki, Cook Islands. The currency used in the Cook Islands is the New Zealand dollar, denoted by the symbol "$" or "NZ$" (ISO code: NZD). It is divided into 100 cents. In this guide, the "$" symbol denotes New Zealand dollars unless otherwise indicated. The Cook Islands also issues their own banknotes and coinage, including the unusual $3 notes and the triangular $2 coins. Cook Islands money can only be used within the Cook Islands. Overall, much cheaper than nearby Tahiti, although anything imported will be expensive. This especially applies to fuel and milk. There is no fresh milk made on the islands, and the only fresh milk available is air-freighted from New Zealand daily, and costs around $7.00 for 2 L. Locals generally get by with powdered or UHT milk. Calling home can cost a bundle, due to the need of having a large satellite dish and related equipment on each sparsely populated island. Don't expect significant savings by Skype-in or VOIP callback, as the rates using these services tend to be the most expensive anywhere in the world. However, some hotels and resorts have free direct Skype connections (in addition to a regular telephone number) which can be used for reservations. ika mata (raw fish) with coconut milk, finely chopped vegetables. It is delicious! poke (cooked fruit pudding) (banana, pawpaw,...) with coconut milk. Some of these are available every day at the market in Avarua. Every 2 weeks there is a "Go Local" market where locals sell their products. There are two microbreweries in the Cook Islands – Matutu and Cook Islands Brewery, located in Rarotonga, both of which produce a range of delicious beers. Imported beer, spirits and wine are available from major supermarkets Foodland and CITC Liquor, both located in the main town of Avarua – expect to pay a premium price. 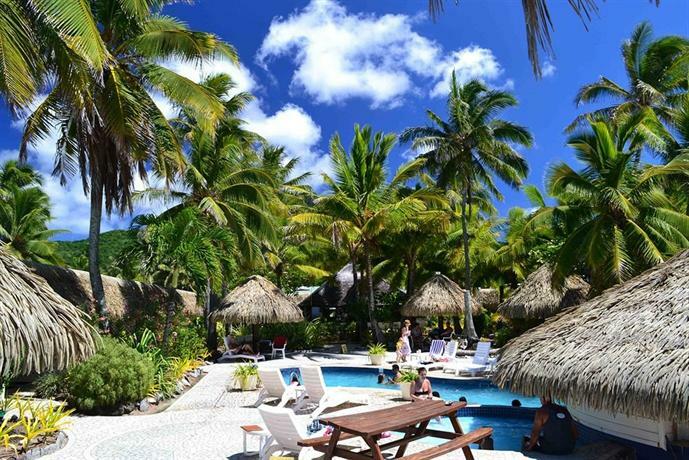 There are a number of bars and restaurants in Rarotonga and, to a lesser extent, in Aitutaki serving up beer, wine and delicious fresh cocktails. Options are extremely limited on all other outer islands. Most of the outer islands turn off the entire electric system (blackout) overnight. Bring a flashlight (torch) with batteries. See the individual islands for accommodation listings. 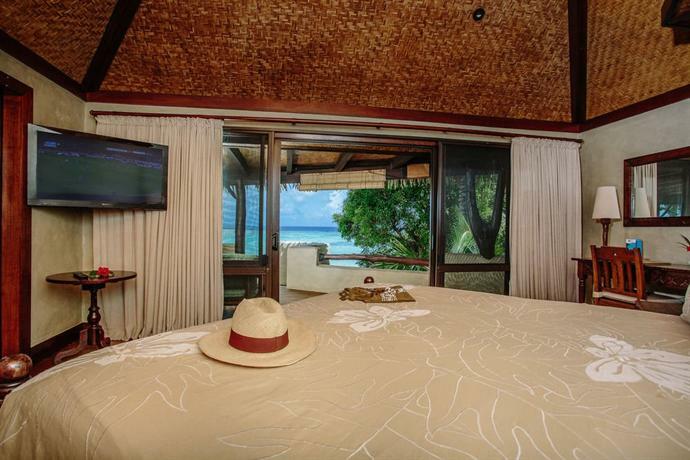 Rarotonga and Aitutaki have various kinds of accommodation to choose from and are serviced with power 24hrs a day. Luxury accommodation can cost upwards of $600 a night, but comfortable lodgings can be found much cheaper and backpackers can also be accommodated in the Cooks. Five day courses in traditional fibre arts are available. Non-residents, even New Zealanders, require work permits. The Cook Islands has a problem with people of working age leaving the islands. Jobs are generally available in the tourism and hospitality sector. There is also a possibility of volunteer work, in education and care. There are no major hazards in the Cook Islands. There are no poisonous wild or marine life in the Cook Islands other than sharks in the far northern island groups. Crime is rare but does occur most likely in the form of petty theft. Police are contactable on the emergency number 999. Though the locals often go barefoot (they are experts at it) it's not recommended beyond sandy beaches due to the sharp coral rocks. Use caution when climbing stairs that connect the lower parts of an island near the sea to the upper part above the cliffs. Some do not have railings on the edge, including platforms. Only the most acrophobic would be uncomfortable with this (they're plenty wide enough and not vertically "open"), but for children, the blind, and someone who's had too much to drink, the risk is extreme. On the platforms, avoid getting too close to the edge, especially if you need a rest from climbing. Motorcycle and scooter accidents have caused injuries and fatalities in the past. Driving after dark has additional hazards due to poor visibility due to inadequate lighting and road condition. Driving/Riding is especially dangerous on Friday and Saturday nights where drunk driving is prevalent. Always wear a helmet even though the locals may not. 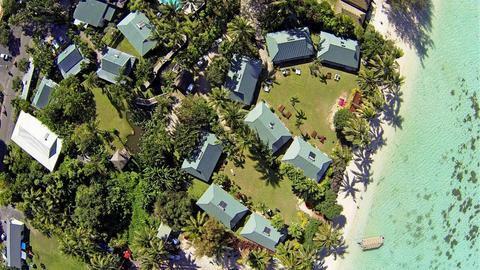 Medical and hospital facilities on Rarotonga are limited and serious cases will most likely require medical evacuation to Auckland for treatment. Facilities on the outer islands are extremely limited. There are no decompression chambers on any island and serious cases of pressure sickness will require a MediVac to Auckland. It is extremely important to take out comprehensive travel insurance before travelling to the Cooks. Ambulance emergency is on 998. Tap water can be trusted for drinking in Rarotonga, although after extended heavy rain it is recommended that tap water should be boiled before consumption or stick to bottled water. All water should be boiled before consumption on all other islands. Do not eat reef fish when in the Cooks, for example snapper fish, they may give you ciguatera poisoning. Most restaurants do not serve reef fish; only locals consume them. Mosquitoes are a nuisance especially on Aitutaki. There have been outbreaks of dengue fever, chikungunya and zika fever, all mosquito-borne diseases. Use insect repellent spray and other precautions against mosquito bites. There are no other serious tropical diseases reported in the Cook Islands. There are very low instances of infectious diseases in the Cook Islands, however, it is wise to consult your doctor about vaccinations prior to travel. Like New Zealand, tipping is not usual in the Cook Islands — better to graciously thank the person for their service or hospitality. On the outer islands with little accommodation, it is likely you will be staying with a family within a village. Purchasing a pig and presenting it as gift to the chief of the village and/or the family is considered extremely good form and will gain you the respect of the people. Haggling for goods is considered taboo and rude in the Cooks. Expect a stone cold, emotionless face from local vendors if you make more than one attempt at doing so. Pay the ticket price of goods; there is no mark up to come down as you may experience in other countries. The Cook Islands inhabitants are in no way behind the times. They have TV and Internet and regularly keep up with news and events local and abroad. Respect their view on the world and feel free to chat with the locals over a cool drink. As in every country, respect the religious beliefs of the local people. If you are staying with a family or visiting a local village, you may be requested to join in saying grace before eating. Although some people may find this uncomfortable, make an effort to join in and see is it as a cultural experience. Most Cook Islanders adhere to the Christian faith and attend church on Sundays. Most places are closed for business with the exception of a few bars, restaurants and shops. Though the survey form given on arrival (and collected at departure) is optional, the airport staff will be very disappointed if you do not complete it. In case you've misplaced it, additional ones are available at the airport at departure. Not all islands have internet, and some not even mobile phone reception. Check the appropriate island articles. Petty crime occurs. Ensure that your personal belongings, passports and other travel documents are secure at all times. Traffic drives on the left. Coastal roads in Rarotonga are paved. Driving at night can be dangerous due to poor visibility and road conditions. Injuries and fatalities have occurred due to tidal changes and breaks in the reefs. Seek local advice on which parts of the lagoon are safe for swimming. Reef shoes are recommended. Sports and aquatic equipment may not meet Canadian safety standards and may not be covered by your insurance. Ensure that your travel insurance covers these activities if you decide to rent equipment or take classes. Medical and dental services are available on Rarotonga, including hospital and emergency services. Two pharmacies are available for prescription medicine. Hospital and medical facilities on the outer islands are limited. The Cook Islands are not equipped with hyperbaric chambers. In the event of a major accident or illness, medical evacuation may be required. Medical transport is very expensive and payment is often required up front. A valid Cook Islands driver’s licence is required for all drivers and can be obtained from the police station in Avarua upon presentation of your own licence. The cost is NZ$20. Dress conservatively to avoid offending local sensitivities. The currency is the New Zealand dollar (NZD), supplemented by Cook Island dollars and coinage for local use. Major credit cards are accepted at most hotels, shops and restaurants. Traveller’s cheques are accepted at the main shops and hotels. Automated banking machines are available on Rarotonga, but are extremely limited elsewhere.